Does Donald Trump want to tax the rich? His plans say no, but his mouth sometimes says yes. 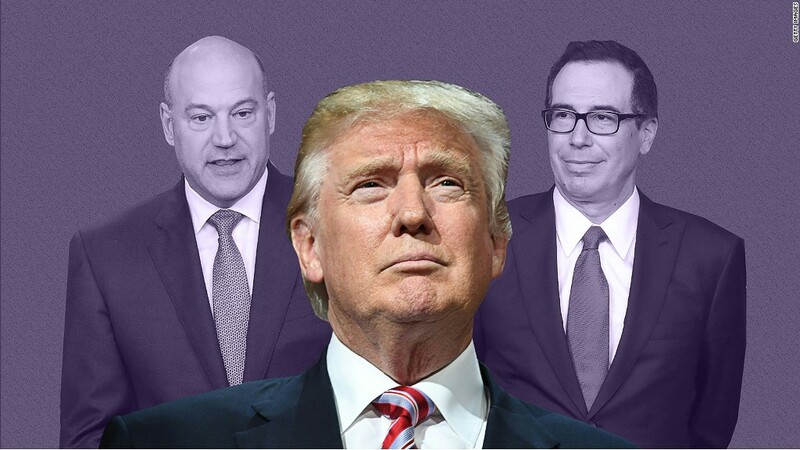 There is nothing in the various tax reform proposals President Trump has put out in the past two years to suggest he wants to tax the rich more. In fact, independent analyses of those plans estimate that the highest income households would do quite well and far better than everybody else. Yet now he's publicly suggesting that he'd be open to taxing the rich if it meant he could help the little guy. "The truth is the people I care most about are the middle-income people in this country who have gotten screwed. And if there's upward revision it's going to be on high-income people," Trump said in a Wall Street Journal interview. What's not clear from that statement, though, is what exactly he means by "upward revision." Does he mean he wants high-income people to pay more than they do today or simply that they would get less of a tax cut than they would under earlier versions of his plans -- which offered tax cuts on average to all income groups? You could read it both ways. Trump said a friend of his told him, "'Donald, don't worry about the rich people. Tax the rich people. You got to take care of the people in the country.' It was a very interesting statement. I feel the same way." Related: Will a corporate tax cut benefit the middle class? Then he noted that charts showing the distributional effect of his proposals will "show that a rich guy who made $25 million last year is going to pay less than he was. In a certain way, I don't like that. I'd rather take that difference and put it into the middle-income and put it into corporate." That, of course, suggests that $25 Million Man would pay about the same as he does today, so the tax code can offer more of a break to the middle class and corporations. When asked for clarity at the White House briefing on Wednesday, Press Secretary Sarah Huckabee Sanders dodged the question, stressing the administration's more general goals for tax reform -- a simpler, fairer tax code, middle class tax relief and creating jobs. Whatever Trump meant, the truth is there's no telling what he will end up supporting until the White House releases a detailed framework, which Treasury Secretary Steven Mnuchin and National Economic Council Director Gary Cohn have been working on with Republican leaders in the House and Senate. And ultimately, it won't be clear until he actually signs a piece of tax legislation that manages to pass both chambers of Congress.